Bred in Northeast Asia as a sled dog, the Siberian Husky is known for its amazing endurance and willingness to work. 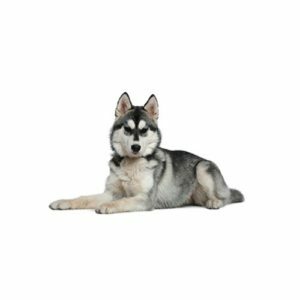 Its agreeable and outgoing temperament makes it a great all-around dog, suitable for anything from sledding to therapy work. Because it originated in cold climates, Siberians have a thicker coat then most other breeds of dog, made up of a dense cashmere-like undercoat and a longer, coarse top coat. All colors from black to pure white are allowed, but a variety of markings on the head is common. The Siberian Husky is widely believed to have originated from within the Chukchi Tribe, off the eastern Siberian peninsula. These dogs were used in 1908 for the All-Alaskan Sweepstakes, which consisted of a 408 mile long dogsled race, and served in the Army’s Arctic Search and Rescue Unit during World War II.